Fortnite Adds Vending Machines, Explosives Mode to Battle Royale | Nerd Much? Fortnite is doing away with weekly version updates for their Battle Royale and Save the World modes. Instead, they’ll be doing bi-weekly version updates going forward which they say will allow them to better iron out bugs. The week in-between will play host to “content updates” such as the one we’re getting today. 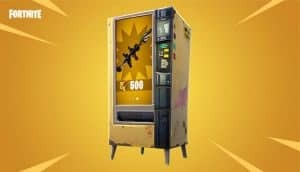 The big addition to battle royale with this week’s content update is the Vending Machine. The Vending Machines can be found “in many locations across the island.” Each machine has three different deals to offer, with the items and their rarity chosen at random. 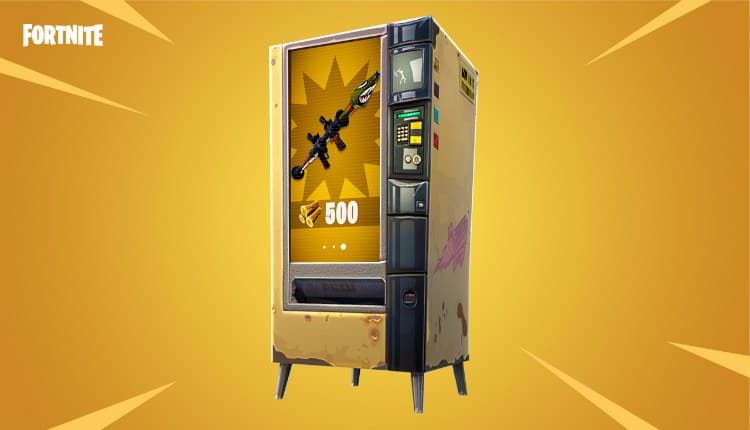 The Vending Machines work by having players trade in materials that they are carrying for the weapons held within the machine. In the image Epic used as an example (above), players could trade in 500 pieces of wood to purchase a rocket launcher. Vending Machines will host 3 items, with one item purchasable by wood, stone and metal each. You can use your pickaxe to help sort through the machine’s options. Also being reintroduced with this week’s content update is the High Explosives Limited Time Mode. All non-explosive weapons are removed from the game in this variant and friendly fire is turned off. The newly implemented Guided Missile has seen its spawn rate doubled in this mode. As far a Save the World goes this week, there isn’t much to offer. But Epic is bringing the Easter Egg Launcher (reskinned Grenade Launcher) over to that version of Fortnite.